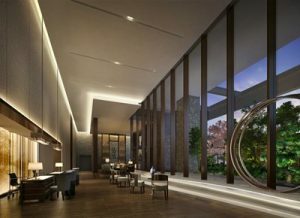 CapitaLand’s wholly-owned serviced residence business unit, The Ascott Limited (Ascott), is geared up to open Ascott Marunouchi Tokyo – the first luxury serviced residence in Japan under the premier Ascott The Residence brand on 30 March 2017. 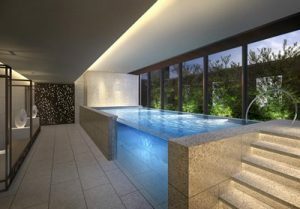 Located in the prime Marunouchi-Otemachi area, the exquisite property will offer an exclusive living experience in the country’s biggest and most prestigious international financial centre. Ascott Marunouchi Tokyo is part of an integrated development that also comprises offices and is surrounded by must-go places, from the tranquil Imperial Palace East Gardens to the famous Ginza district which boasts the finest retail and entertainment options, complete with a diverse range of specialty restaurants, cafés and bars. Guests can explore Tokyo with ease as Ascott Marunouchi Tokyo is conveniently connected to Otemachi Station, one of Tokyo’s largest subway stations served by five different lines, or journey to other parts of Japan via the Shinkansen bullet train from the nearby Tokyo station. At Ascott Marunouchi Tokyo, attentive Ascott Hosts are on hand round the clock to provide guests with personalised services. 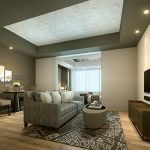 The urban oasis will feature 130 elegantly designed apartments with premium furnishings, ranging from spacious studios to three-bedroom units that provide a breathtaking view of the city or garden. For a local experience, guests can also choose apartments that come with a Japanese tatami mattress. Each apartment has separate living and dining areas, a fully-equipped kitchen1 and ensuite bathrooms, making it a perfect space for business executives or travelling friends and family to share and yet have the privacy of individual bedrooms. In addition to the business centre and meeting rooms, facilities such as a swimming pool, gymnasium, roof-top terrace and reading lounge are available for guests to relax and unwind. Ascott Marunouchi Tokyo is offering special promotional rates from JPY 35,000 per night2 from now till 28 June 2017. It includes complimentary daily continental breakfast, daily housekeeping service and one of three benefits upon guest’s request (voucher for next stay, complimentary bottle of wine and late check-out). For stays of a month or more, guests can enjoy special rates from JPY 450,000 per month3 for reservations from now till 30 March 2017. 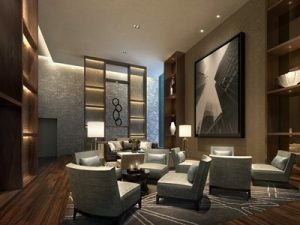 Besides the soon-to-open Ascott Marunouchi Tokyo, Ascott currently operates six other serviced residences in Japan. They are Citadines Shinjuku, Citadines Central Shinjuku, Somerset Azabu East, Somerset Ginza East and Somerset Shinagawa in Tokyo, as well as Citadines KarasumaGojo in Kyoto.